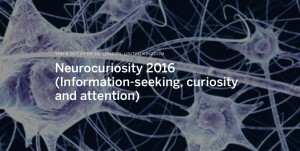 Professor Derek Bell from Learnus (one of CEN’s collaborators) gave a presentation last week at the Second Neurocuriosity Workshop, on information-seeking, curiosity and attention. The workshop was hosted by The Centre for Brain and Cognitive Development (Birkbeck) and brought together cognitive neuroscientists, psychologists, and educators interested in the role of curiosity in learning. Given Learnus’ mission – to facilitate in the translation of research to educational implications and practice – Derek’s talk focused on how scientific research in curiosity might help answer the perennial teachers’ question, “So what do I do in my lessons next week?”. Derek emphasised that the link between education and neuroscience is not a simple straight line. While there is an appetite among teachers for new methods stemming from research on the brain, this places a responsibility on those working in the field to assure the quality of the information that is shared. Derek focused on key questions including: What is curiosity in the classroom? How does it differ from interest? 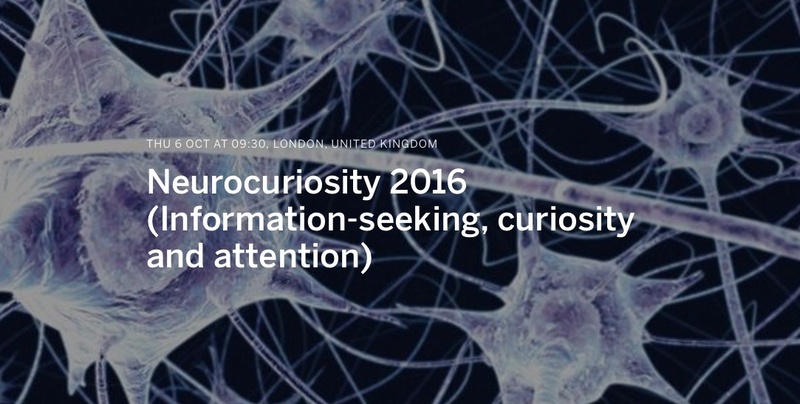 How can curiosity be harnessed for learning? How does the neuroscience understanding of the basis of curiosity (in exploration, information gain, and reward seeking) link to classroom learning activities? He drew some tentative conclusions from the research presented at the workshop: Curiosity consolidates learning. It may act as a positive feedback loop, with curiosity stimulating learning, and learning in turn stimulating more curiosity. However, curiosity, surprise, rewards and memory are tightly interlinked concepts. Practical strategies to stimulate curiosity and generate interest in lessons might include the use of surprise items and events, rewards, and questions. But also he also stressed the importance of dialogue between different professional communities to facilitate understanding the concrete implications of cutting edge research, and whether they yet justify any major changes in teachers’ practice. In the following discussion, two points emerged. The first concerned the challenge of ‘bringing curiosity to the fore’ and the suggestion that having some structure or task to help focus the curiosity might be more productive for students than situations in which the questions are completely open or students engaging in what might be referred to as ‘idle curiosity’. The second was the idea that curiosity is not a ‘one-off event’, so there is a need to explore ways of sustaining curiosity so that it becomes a longer term interest in the material and, more broadly, in learning about the world and how it works.